About to embark on a fantastic tour of Central America or is it on your wishlist? 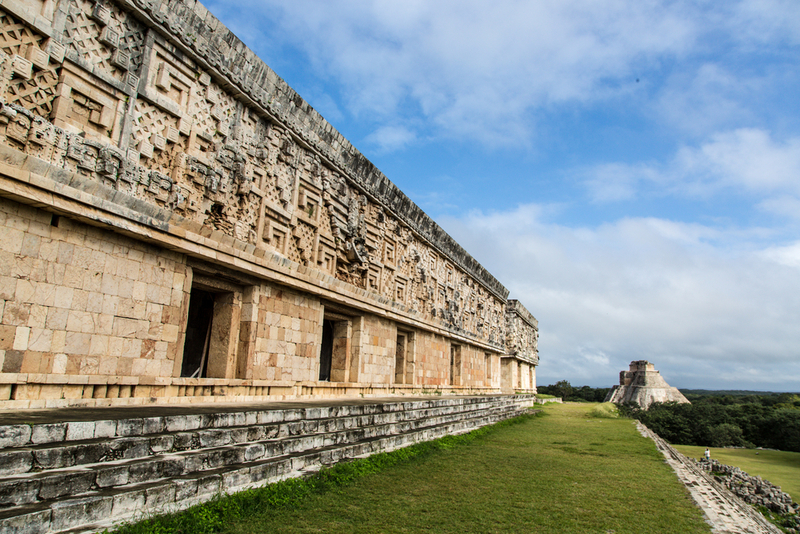 Then read our guide to The Mighty Mayans: Ideology, Rituals and Architecture, and you’ll best appreciate all the breathtaking historical Mayan sites you’ll visit. The Mayans built a colossal empire which spanned the entire region of Central America and modern-day Mexico. Although certainly not the only ancient Mesoamerican civilization to have existed in pre-Columbian America, it is regarded as the most advanced by far. Along with its complex mathematical, astronomical, political and scientific achievements, the Mayan civilization also boasted the most developed writing system in the whole continent. This is what makes the Mayan the most studied and researched ancient culture in all of Latin America. One of the most puzzling aspects of Mayan civilization is arguably its quite sudden demise. What started in humble agricultural beginnings about 2000 years BC, and developed into a formidable culture, abruptly collapsed after 3,000 years. The downfall of this mighty empire is subject of much debate and there are still many questions left unanswered. Yet one thing is undebatable: the Mayan culture was one of the most multifaceted ancient cultures to have ever existed. What they left behind is an incredible legacy comprising architectural and artistic marvels, religious temples, and one of the most fascinating belief systems ever studied. Reflecting what we would now consider a melding of religion and spirituality, the Mayans worshipped gods which represented the most revered aspects of nature. The Sun, the Moon, Mother Earth, and even maize (the most farmed grain at the time) had its own god-like deity for whom sacrifices were ritually made. 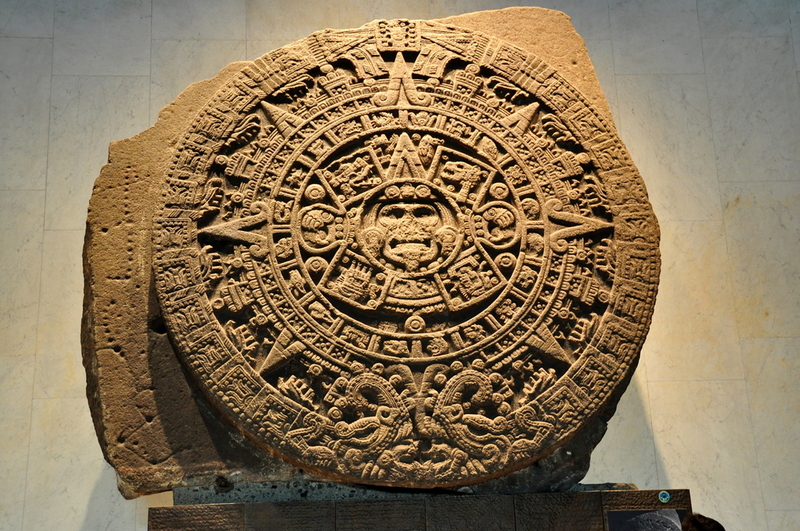 The Mayan astronomical calendar – the most advanced of which you can see at Copan ruins – dictated religious and cultural celebrations, which were a consequence of harvesting seasonal milestones. Mayan Calender. Photo credit: Shutterstock. The basic credo of Mayan belief was that virtually everything on the planet had a divine life force, or k’uh. Inanimate objects were no exception and the inherent belief of the sacredness of things, animals, and people is what drove the greater part of Mayan mysticism. The pivotal creator of the Earth for the Mayans was Huracan, the God of Wind and Storms. In Mayan theology, the sky and earth were once conjoined leaving no room for anything else to grow. The gods then created a Ceiba tree, which provided some much-needed separation between the sky and the earth as it grew taller and taller. The gods first created animals, yet when they realized they could not speak or worship them, he created human beings instead So essentially, the creation of mankind was made in order to honour and serve the gods and it is with this credo that all Mayans lived, believed, and served. According to texts discovered, creationism was a long and intricate affair according to the Mayans and took quite a few trials and errors. Firstly, the gods created ‘mud people’, who could work the land but had no intelligence, so the gods disposed of them by melting them with water. Then came the ‘wood people’ who were slightly more intelligent but lacked a soul, so they too were destroyed (this time by flooding the earth with boiling water). And lastly came the ‘maize people’, the ancestors of modern-day human beings. These last ‘generation’ of humans had whiter skin and a soul (ideal for worshipping of the gods, naturally) but were a little too intelligent for the gods’ liking, so they were edited (let’s call them Human 1.1) to be blunt-brained enough not to be thought of as a threat to the gods. An important factor in the base belief systems of the Mayans is the thought that creationism and life is inherently cyclical. The Mayans never doubted that modern man would one day be wiped out by the gods and replaced by a much more efficient model. Perhaps ‘Human 1.2’. This was misunderstood for centuries as the Mayan culture was studied. For eons researchers believed the Mayans anticipated an ‘end of the world’, but it seems much more likely they were simply predicting yet another ‘end of the current human cycle’ as they knew it. It is often thought that one can never do too much to appease one’s sensitive god and it is with this axiom in mind that most of the Mayan rituals were created. Steeped in their religious beliefs and grandiose beyond words, Mayan rituals and ceremonies were an integral part of life both for commoners and the ruling elite. Maya bloodletting rituals were pivotal in just about every major stage of one’s life (much like Christian baptism, communion and marriage) and Mayan Human Sacrifices (as well as animal) were common occurrences. Pictorial texts and carvings depict sacrificial Mayans having their hearts ripped out and presented to the gods, as well as having their tongues and ears cut off, presumably because from these pulsed the purest blood. The excessive consumption of home-made alcohol was also a common part of these rituals, as it was believed that a ‘drunken healer’ had a much more in-depth understanding of the spirit world. PS. If you are now contemplating just how many ancient Mayan healers you have met over the years, you are not alone! Mayans had much respect for the dead, many temples were built atop funerary pyramids. Photo credit: Shutterstock. Death rituals were also extremely important and the Mayans had much respect for the dead, although they did concede that some deaths were nobler than others. Curiously enough, death by suicide was considered one of the ‘holy deaths’ which almost guaranteed a spot in heaven, along with death in childbirth and in fierce battle. When a Mayan died, he/she would be buried with a cob of maize in his/her mouth, a revered symbol of heavenly rebirth. Temples were built atop funerary pyramids, and idols containing ashes of their dearly departed were built to appease the gods, and it is here that food, animal and human sacrifices were made to both honour and appease the much respected and much feared gods. Chichen Itza. Photo credit: Shutterstock. 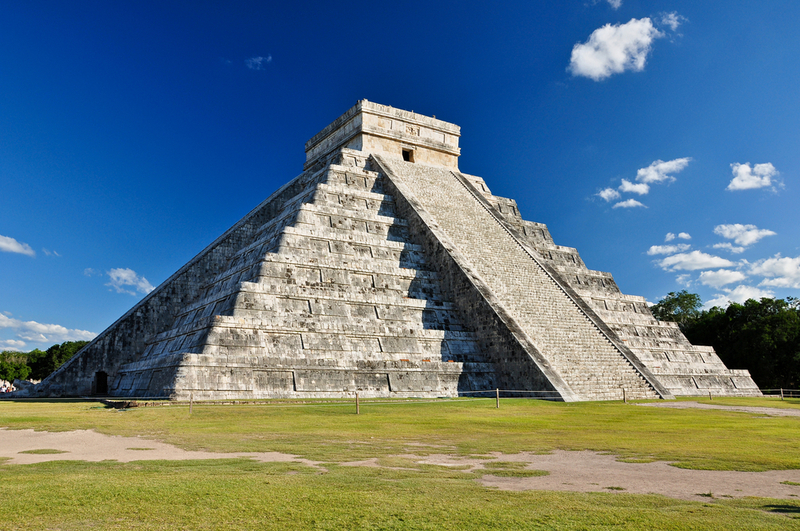 Dramatic El Castillo pyramid is the foremost highlight of arguably the most famous Mayan city of all. Close to the uber-popular seaside resort town of Cancun, Chichen Itza is one of the busiest and most impressive Mayan ruins you’ll ever visit. The surround sound system inbuilt from limestone – particularly at dusk when the howler monkeys go bonkers – will rival any DOLBY system modern man can conjure up. 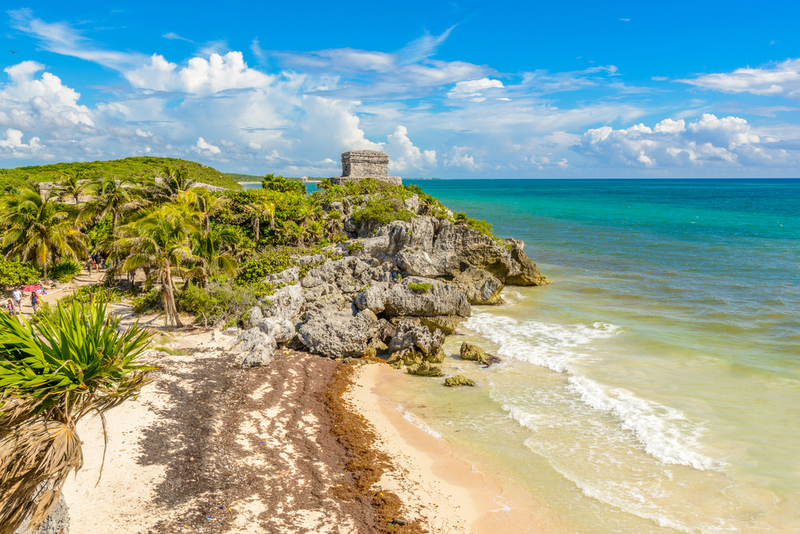 The cliffside ruins of Tulum are resplendent against the backdrop of the sapphire waters off the Yucatan Peninsula. For those who are short on time and want everything served to them on a golden platter – Maya ruin + amazing surf + resplendent beaches + cave diving – Tulum’s the absolute bomb. One of the many Mayan sites which seem to quite literally spring out of a thick rainforest canopy, Palenque is often described as ‘exquisite’ not least of all for the fact that it’s one of the least excavated. This sanctuary is as exotic as they come, with its fabulous setting and imposing raised temples combining to make this possibly Mexico’s very best Mayan structure to date. UNESCO-listed Uxmal (as are the above mentioned two) was an impressive city home to an estimated 25,000 people. Built around the awe-inspiring Pyramid of the Soothsayer, Uxmal showcases some of the most artistic Mayan carvings ever discovered. 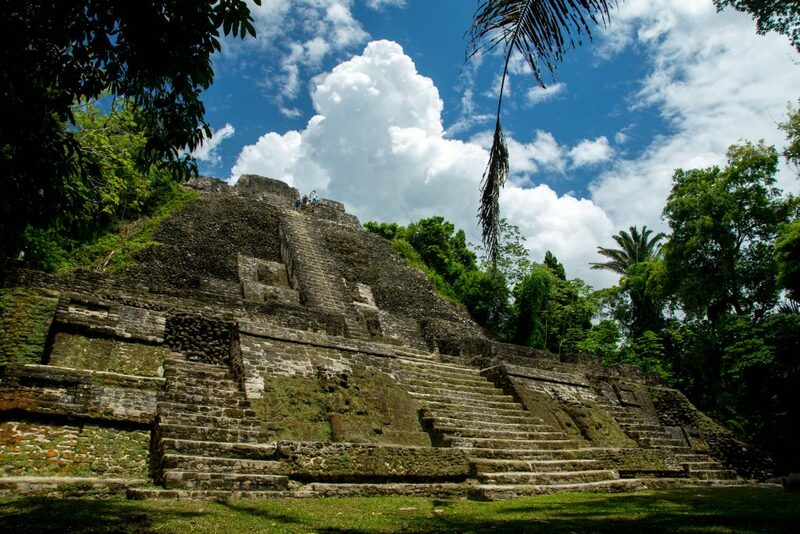 Often considered the ‘mother of all Mayan sites’, Tikal is one of the largest Mayan archaeological sites ever found. 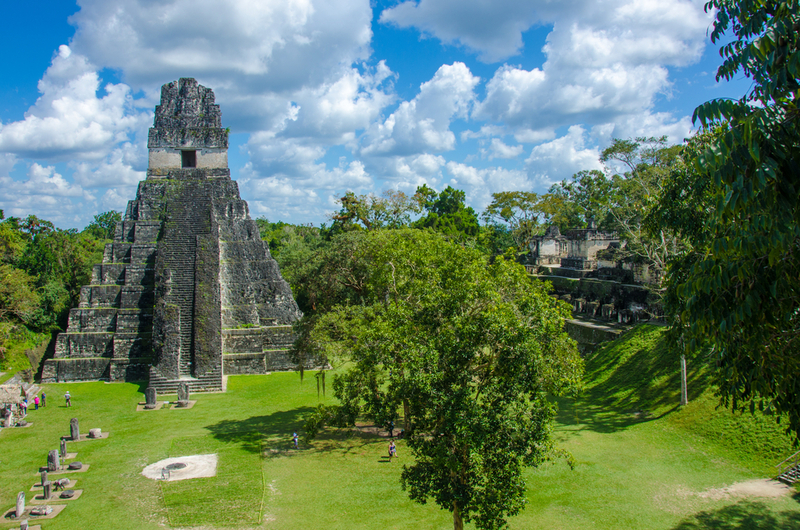 Tikal was inhabited for almost the entire duration of the ancient Mayan civilization and the intricacies of its Great Plaza have been a subject of much expert research for decades. For aesthetics alone, especially if you’re an avid climber, Tikal simply can’t be beat, this would have to be one of the most photogenic historical sites of all. Want to include some wicked wildlife spotting with your Mayan-tour-de-force? Visit Calakmul in the morning and set off tracking jaguars in the adjoining reserve n the afternoon. The Mayans probably did just that! 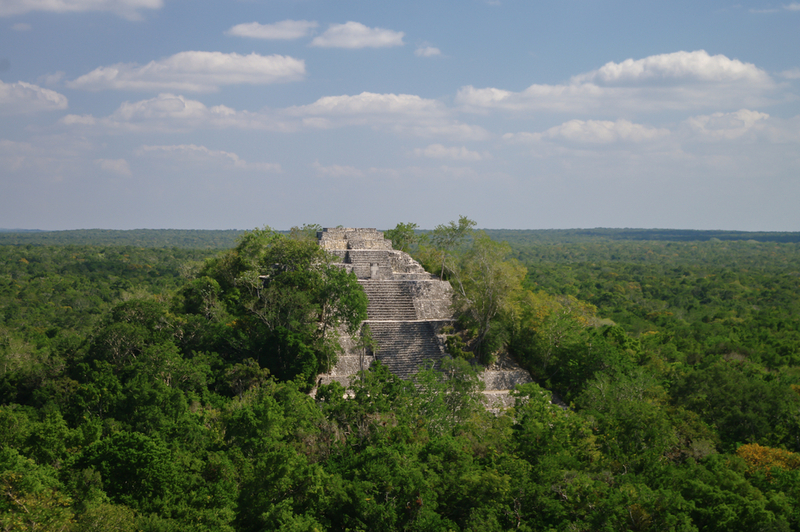 Calakmul boasts the largest ceremonial pyramid of its kind ever found. 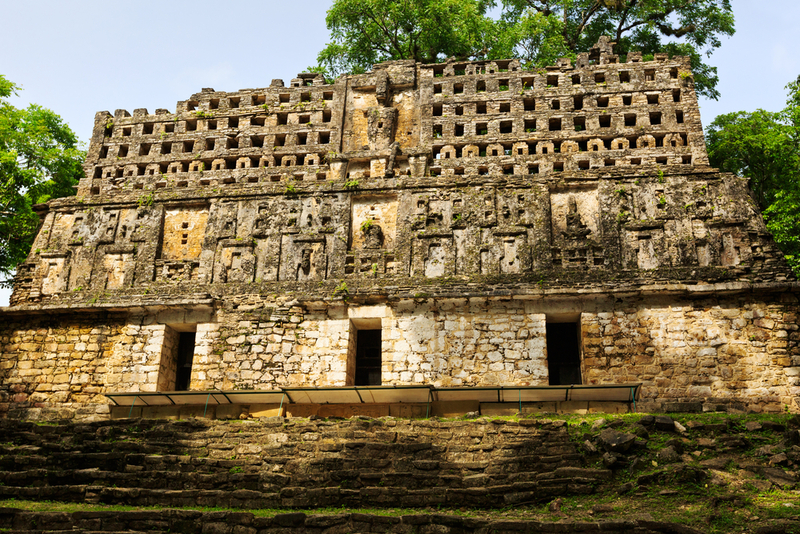 Not the largest nor the most remote, but some would say the most fascinating sites to discover, Copan boasts some of the most comprehensively carved pillars and structures of all. At Copan, one can literally walk through 2,000 years of Mayan history, such is the attention to detail so beautifully preserved. 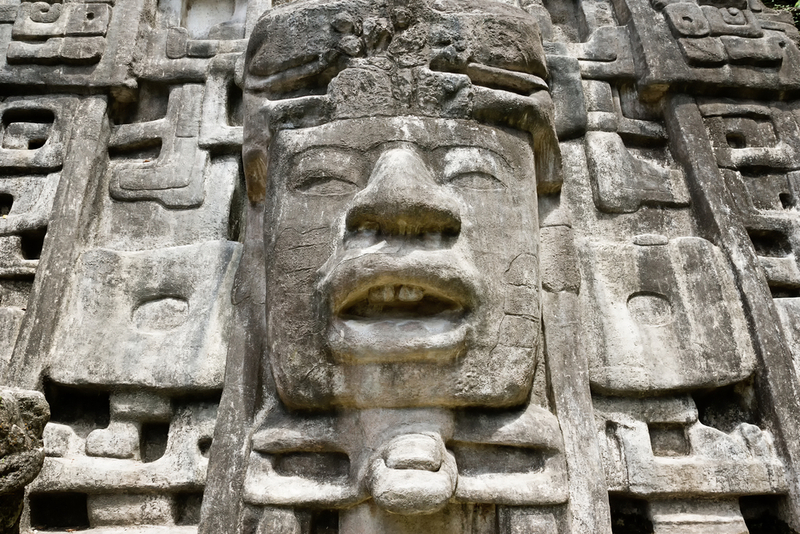 Enormous masks carved onto limestone walls, majestic temples and an abundance of wildlife make Lamanai the perfect all-rounder. 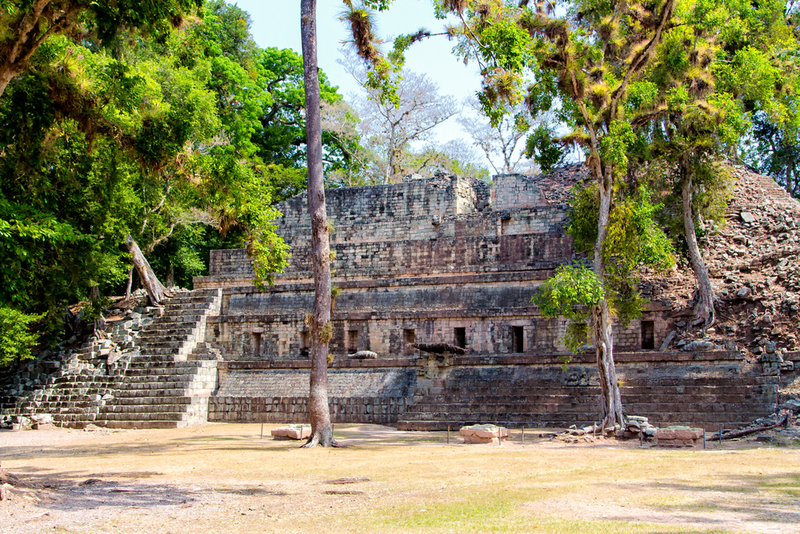 By far the largest and most studied Maya ruin in all of Belize, Lamanai also enjoys one of the most spectacular settings of all, on the banks of a lush lagoon and framed by a verdant rainforest. one of the least visited sites of all, Yaxhilan is time-consuming to visit yet infinitely rewarding…probably as a direct result. Only accessible by boat along the river that separates Mexico to Guatemala, Yaxhilan is the one place you could possibly have all to yourself. For the amateur Indian Jones explorer, Mayan ruins don’t get much better than this. Impressed yet? You certainly should be! 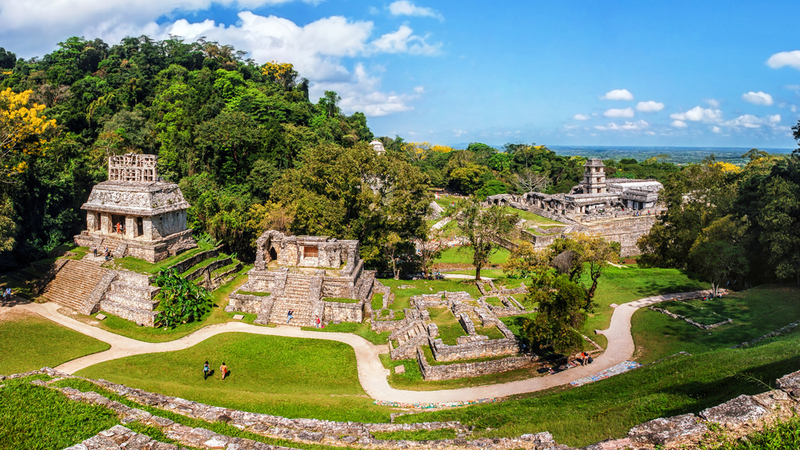 And if not…you’ll have at least another 2,991 Mayan ruins to explore in Central America and Mexico. Contact us today and ask us how we can plan a whirlwind Maya appreciation tour of Central America for you, and pick from unforgettable tours in Mexico, Guatemala, Honduras and Belize – with enticing add-ons in Cuba, Costa Rica and Panama. Explore the White City, Mayan architecture, culture and cuisine and dip your toes in the sand on the beautiful white beaches of Cancun on the Caribbean Coast.